This page compares the different types of drug tests. When you are looking to buy a drug test it is important to know what you are looking for. Whether it is a business employee drug test or a home drug test), you want to get the best drug test for your testing purpose. We offer the most popular types of drug tests in our Online Store - at guaranteed LOW prices! We are striving to be known as the "Internet Drug Test Store" and with our great selection of drug tests, the best drug tests on the market, low prices, and first class customer service you will see why more and more people are choosing the Transmetron Drug Test Store to purchase quality drug test kits and supplies! Simply dip the drug test into the urine sample. This is a favorite among those who perform a home drug test. Can test for many drugs: marijuana (THC), methamphetamines (meth), cocaine, amphetamines, PCP, opiate, benzodiazepines, barbiturates, methadone, oxycodone, MDMA (ecstasy) and others. This Single Panel Drug Test tests for one drug at a time. The most popular and best selling is the Marijuana Drug Test. Can test for 2, 3, 4 5, 6, 8, 9, 10 or 12 drugs at one time. Comes in a multitude of configurations, testing for many combinations of the Drugs of Abuse. Use the included pipette to draw out urine. Then place 3 drops into the cassette well. Can test for many drugs: marijuana (THC), methamphetamines (meth), cocaine, amphetamines, PCP, opiate, benzodiazepines, barbiturates, methadone, oxycodone and others. Tests for one drug at a time. Can test for 2, 3, 4 5, 6 or 10 drugs at one time. Comes in a multitude of configurations, testing for any number of the drugs listed to the left. Convenient sample cup with easy to use testing procedure. The drug test strip is "built-in" to the cup! Also known as the E-Z Split Integrated Key Cup. The ECO Cup is a one step screening test for the simultaneous, qualitative detection of multiple drug metabolites in human urine. 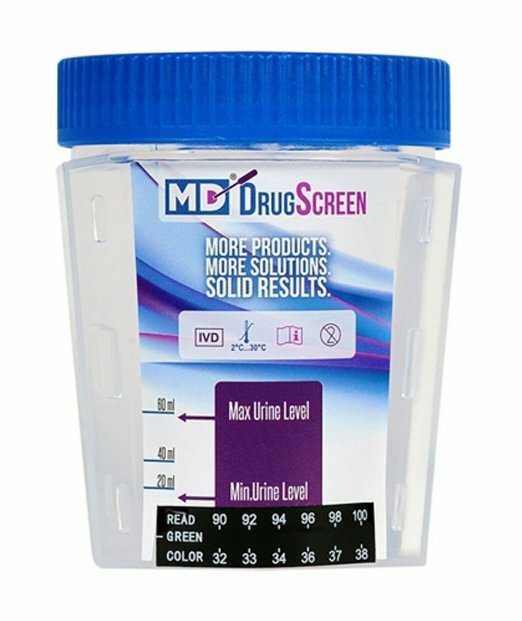 The MD DrugScreen Cup comes in both the Five panel and the Ten panel cup, which tests for a wider range of drugs. Test for the presence of drugs in human saliva. Tests for the presence of alcohol in saliva or on the breath (breath alcohol). 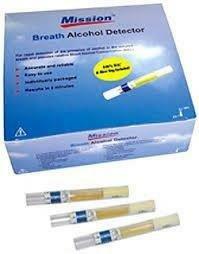 The Mission Breath Alcohol Device is an inexpensive, disposable breath alcohol indicator designed for one time use. The Mission Breath Alcohol Device uses proven technology for simple, convenient, non-invasive screening and testing of individuals of alcohol use (use at any time). Mission Breath Alcohol Device .02 shows positive results when breath alcohol exceeds .02, providing an accurate measure of the alcohol present in the exhaled breath of the test subject. By measuring the alcohol content in the breath, a reliable indication of the blood alcohol level is achieved. Substance Drug Test - test an unknown substance to determine if drugs are present. 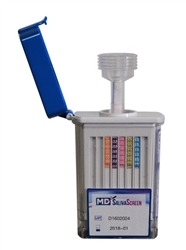 Surface Drug Test - detects the presence of drugs on a surface (like a wall or table). All of the above drug testing kits are available at our online store. Please consider us your Drug Test Store! Just click on the drug test link, choose the item and quantity, add to your secure shopping cart, check out and you are done! We offer a wide variety and selection of drug test kits and are expanding our inventory every month. There are many different types drug tests out on the market today. Of all drug test types, the urine drug tests are one of the more popularly used forms of drug tests and have been around for many years. More recently added to the various types of drug testing are saliva drug tests which are becoming popular; mainly due to the fact that they are more sanitary and gender friendly. In addition to drug tests, there are tests that will detect the presence of alcohol in saliva or breath. Hair drug test is one of the more accurate drug test methods, but require a laboratory for screening. There are also sweat drug screens that like the other tests, will determine the presence of drugs or their metabolites in the human body. All of the forms of drug testing listed above are often called "rapid tests" because the provide instant drug test results. A laboratory drug test requires the sample (urine or saliva) be sent to the laboratory for evaluation. This method takes longer to get results, but those results are the most accurate and hold up in court. One of the most recent additions to the different kinds of drug tests is that of Steroids Test. Steroid testing is a Lab Test that detects the presence of steroids in a urine sample provided. Steroid testing is performed by taking a urine specimen and sending it off to a laboratory for confirmation. The test will detect the presence of steroids in the urine sample.For more information on steroids, see What Is A Steroid? There are five primary types of drug tests: urine, blood, hair, saliva, and sweat. Most common is the urine test which has the benefit of being inexpensive and less intrusive than the blood test. 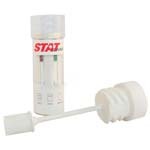 Urine drug tests are the least expensive of the test methods (from less than $3 for the home drug test version). Urine tests are considered an intrusive method of drug testing. A urine drug test can be done at home (for example by parents) though require lab verification (lab confirmation) for accurate results. These types of tests detect use primarily within the past week (longer with regular drug use). Urine tests can be affected by abstaining from drug use for a period of time before the test. 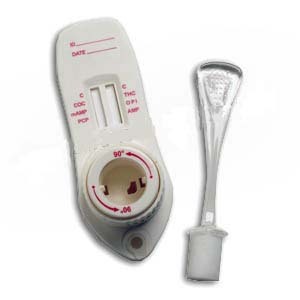 Urine drug test cups are often temperature tested to insure sample integrity. A urine drug test is the best drug test for cost and value. Saliva drug tests are a little more expensive than urine testing, but less than hair or blood. They range in price beginning at around $14. Saliva tests are considered a relatively nonintrusive method of drug testing. Saliva drug testing is becoming more common as it is easy to administer. Like urine tests, saliva testing requires lab processing to ensure accuracy. The saliva drug test can detect drug use primarily within the past few days (sometimes in as few as 24 hours). These tests can detect more recent use than other testing methods (in as short as one hour after drug use). Saliva drug tests have no nationally accepted standards or cutoff concentrations for detection, making results greatly dependent on the specific product purchased. This could also make results less-reliable and/or acceptable for legal cases. As far as accuracy goes, saliva tests are more reliable for detection of Methamphetamine and Opiates, less reliable for THC or Cannabinoids (2004). If you want a non-intrusive drug test, the saliva drug test is perhaps the best drug test choice. Hair drug tests are currently several times more expensive than urine tests (start at $58) and are considered a relatively nonintrusive method of drug testing. Hair follicle tests detect substance use over a longer period (up to 90 days, depending upon hair length), but do not usually detect use within the past week. A hair drug test requires a sample of hair about the diameter of a pencil and 1.5 inches long. They can not be done with a single hair. Typically, hair tests positive a little more than twice as often as a urine test. In a recent study, out of 1823 paired hair and urine samples, 57 urine samples tested positive for drugs of abuse; while 124 hair samples from the same group tested positive. Unlike urine or saliva tests, hair drug tests are not significantly affected by brief periods of abstinence from drugs. Hair tests can sometimes be used to determine when use occurred and if it has been discontinued. Drugs, such as opiates (codeine, mophine, heroin) lay down on the hair shaft very tightly and are shown not to migrate along the shaft, thus, if a long segment of hair is available one can draw some "relative" conclusions about when the use occurred. However cocaine, although very easy to detect, is able to migrate along the shaft; making it very difficult to determine when the drug was used and for how long. Labs performing hair tests claim to be able to reliably differentiate between opiate and poppy seed use. Some hair drug tests now check for more than the SAMHSA-5, and include at least Cannabis, Ecstasy/MDMA, Cocaine, Opiates, Methamphetamine, Amphetamine, Phencyclidine (PCP), Benzodiazepines, & Barbiturates. A hair drug test is the best drug test for long term drug testing. Blood draw drug testing is the most expensive method of testing. It is considered the most intrusive method of testing. Blood drug tests are the most accurate method of testing and are the least common method of drug testing (most likely due to cost). A blood drug test also has a very short detection window for most drugs and therefore not the best drug test to use for most drug testing needs. Sweat drug tests are considered a relatively intrusive method of drug testing because they require the wearing of a patch for an extended period of time. The sweat patch is still relatively uncommon and are a controversial in terms of accuracy. There is some reason to believe that surface contamination (such as cannabis smoke) can cause a false reading. The sweat drug test can detect use which would not trigger other tests. Because of the short detection period for many drugs in urine, single use of many drugs longer than a week prior to using the patch will not cause a positive urine test. Because the skin patches are gathering sweat over an extended period of time, it is possible that any use during that time will produce a positive result. Steroid testing is performed by taking a urine specimen and sending it off to a laboratory for confirmation. The test will detect the presence of steroids in the urine sample. Anabolic steroids are an important class of abused drugs that have lately been spotlighted in the media. In order to maintain fair play in sporting events, they are banned by many sporting federations. Yet, the use and abuse of anabolic steroids continues today in the United States. Steroid use is not only damaging to the integrity of sports; it also poses many potential health risks. The population of people using anabolic steroids is no longer limited to professional athletes looking to gain an edge. Studies show that children may use steroids as early as the 8th grade. Many schools and sporting agencies find that testing for steroid abuse is not only advisable, but necessary. 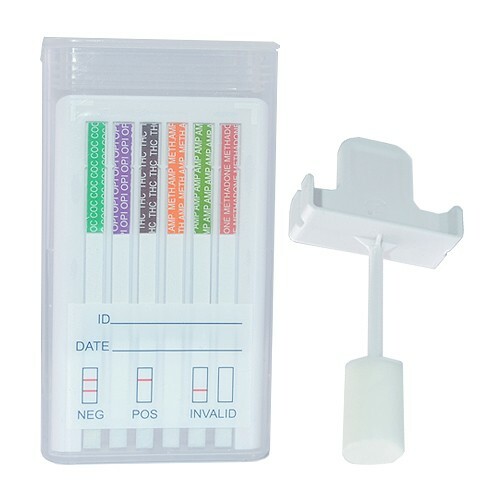 Nail drug tests are highly stable, simple to collect, and easy to ship and store, fingernails provide a test sample that is at the cutting edge of drug and alcohol testing. Fingernails are made up of keratin, the same material that hair is made of. As the nail grows, substances can pass from the blood vessels below the nail into the keratin fibers where they become trapped. Fingernails are four times thicker than the typical strand of hair and often capture more of a substance than hair can. Biomarkers become locked in keratin fibers along the entire length of the nail, and can be detected up to 3-6 months after drug or alcohol abuse. Environmental exposure to illicit substances can be detected immediately in nail samples. When drugs or alcohol are ingested, biomarkers can be found in nails as early as 1-2 weeks after. The time period during which drug or alcohol ingestion can be detected depends on the substance used, the amount used, and personal metabolism. Fingernail samples are clipped and collected by the donor in front of a trained collection staff member. A clipping of 2-3 mm long (about the width of a quarter) from all ten fingernails will give about 100 mg of sample, the ideal amount for screening and confirmation. Larger profiles may require more. We recommend weighing the specimen on a jeweler's scale. For more information on the different types of drug tests, click on one of the links to the left. We provide a wide range of drug tests, detailing each of the drug test types.